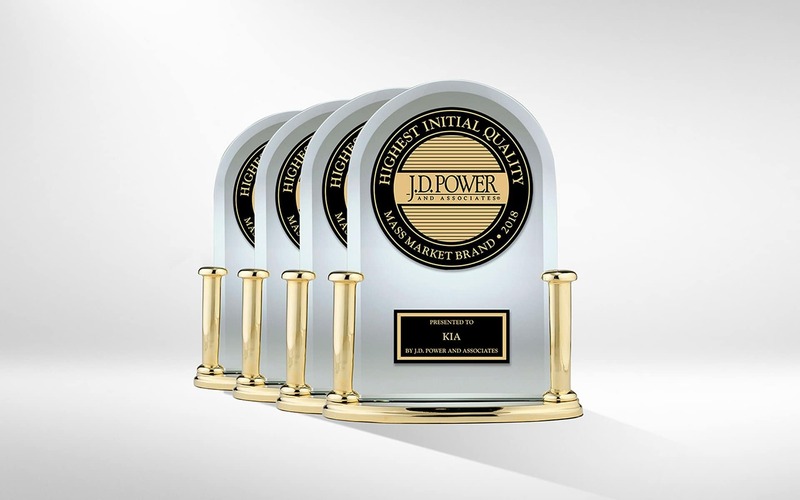 In the last four years, J.D Power has recognized the Kia brand for offering a high quality vehicles line. Since 2015, Kia drivers have reported the least amount of issues within the first 90 days of driving than any other non-luxury or truck brand driver in the US. With a full line of exciting vehicles, some of our vehicles even get their own specific JD Power rewards, just like the 2018 Kia Rio and 2018 Kia Sorento. 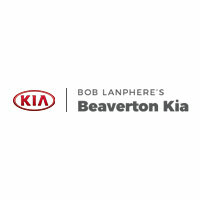 Moreover, with an industry leading 10-year/100,000 mile powertrain warranty, the Kia brand seems to be an obvious choice. 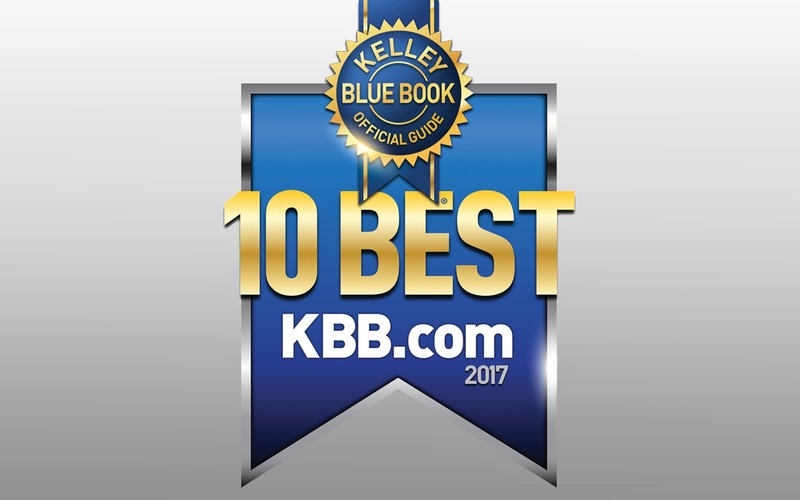 On May 15th 2018, the Insurance Institute for Highway Safety (IIHS) has awarded its best rating possible, Top Safety Pick Plus (TSP+), to the refreshed 2019 Kia Sorento. 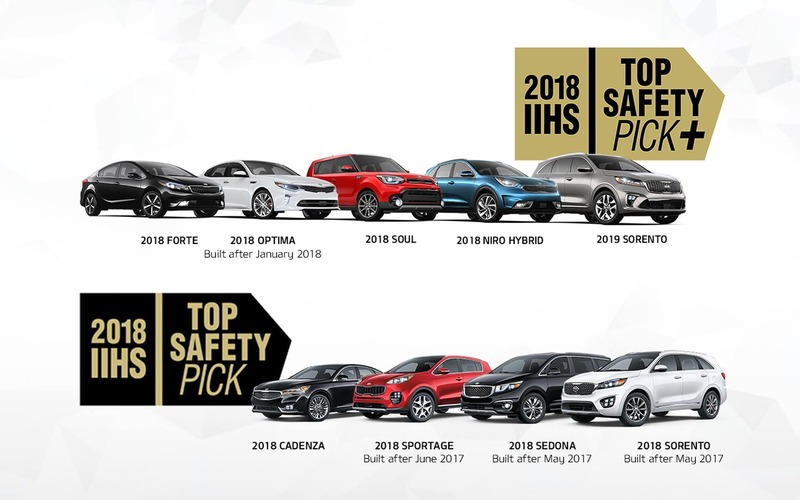 This award confirms Kia to the leading position of brand with the highest number of vehicles with either a 2018 Top Safety Pick (TSP) or Top Safety Pick Plus (TSP+) rating when equipped with front crash prevention and specific headlights. 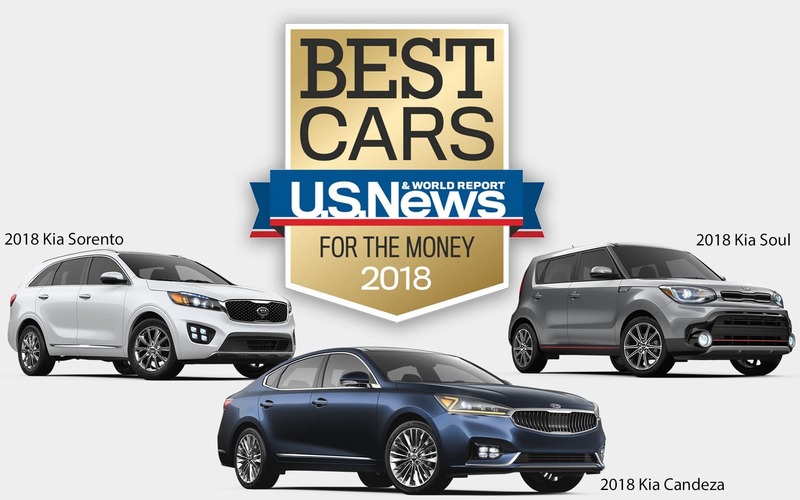 The 2018 Kia Cadenza was awarded Best Large car for families, while the 2018 Kia Soul was rewarded Best Compact Car for the money and the 2018 Sorento with the Best 3-row SUV for the money. 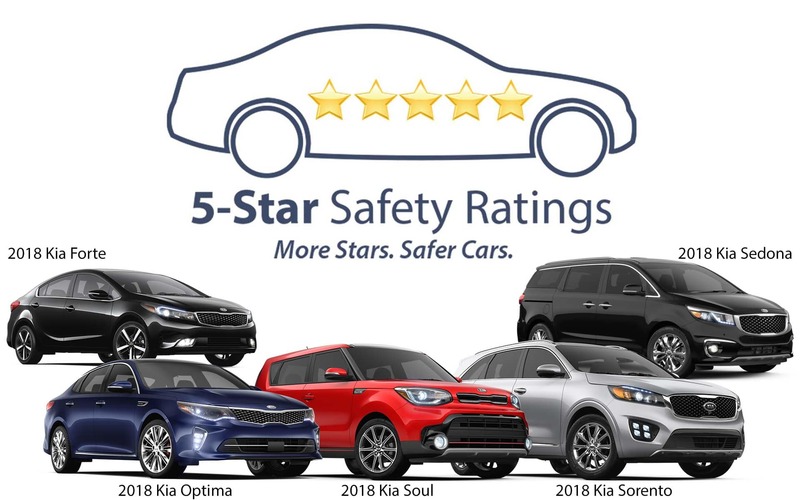 As part of the National Highway Traffic Safety Administration’s (NHTSA’s) New Car Assessment Program, the 2018 Kia Sedona, 2018 Forte, 2018 Optima, 2018 Sorento and 2018 Kia Soul, all received the Government 5-Star Safety Ratings. Kia is confident in the outstanding quality and durability of every new vehicle off of the assembly line. 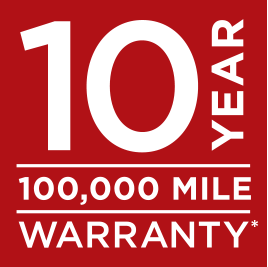 This is why every new Kia comes with their industry-leading 10-year/100,000-mile warranty program.